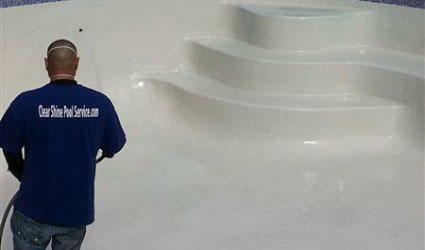 Welcome to Clear Shine Pool Service & Swimming Pool Cleaning. *Under New Management* Clear Shine Pool Service & Swimming Pool Cleaning is the leading pool service company in Northern California, providing quality pool maintenance service throughout the Tracy, Folsom area and Elk Grove, Ca. 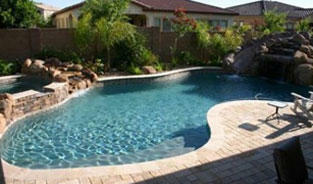 We specialize in Residential pool service and Pool Inspection. We have been the first choice for thousands of clients since 2010! 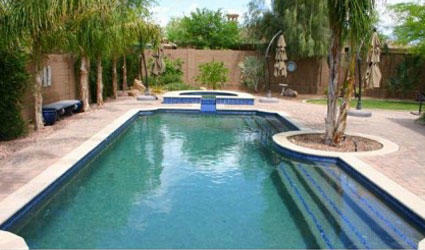 Clear Shine Pool service also provides pool inspection services for many realtors in our market. If you are in the market for swimming pool service in communities like Folsom,Elk Grove, Sacramento,Galt, Manteca,Tracy and Stockton California; we are your Company. Call today for the best in swimming pool service. We now do Pool Inspection for New Home owners and Real Estate agents in popular cities such as Fremont, San Jose, Dublin, Livermore, Palo Alto,Sunnyvale and San Mateo. We install heater, variable speed pump, automatic controller, timers, filters, booster pump and pool automation. Trained from top brands such as Pentair, Hayward and Jandy. By investing in routine maintenance for your swimming pool, you are ensuring that your pool is being cared for properly. You never have to worry that the condition of your pool is deteriorating, that it's not safe, or that it's not functioning correctly. Our Tracy and Elk Grove customers appreciate our attention to detail when it comes to the routine maintenance of your swimming pool. 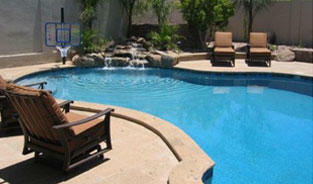 Clear Shine Pool Service provides professional swimming pool maintenance throught out the Tracy area. As issues with the pool arise, there may be times when parts may need to be replaced or special equipment will be needed to make repairs. When you hire the professional Clear Shine pool technicians, they will be able to spot these issues early on, make the repairs, and provide any equipment or replacements needed to get your pool up and running again. See why our Roseville clients trust the Clear Shine name with their swimming pools. At Clear Shine Pool Services we know what it's like when you go to open your pool and you see what used to be crystal clear water, now looks like watered down pea soup. This may occur if the pool maintenance is not done properly, or if the pool has been stagnant for a period of time so that algae has taken over. 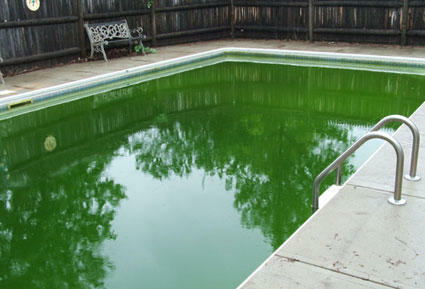 The process for a green pool cleaning depends on the severity of the green pool algae problems. When you call Clear Shine Pool Service for a free quote for pool algae removal, we will ask you some questions such as "Can you see the bottom of the pool?" 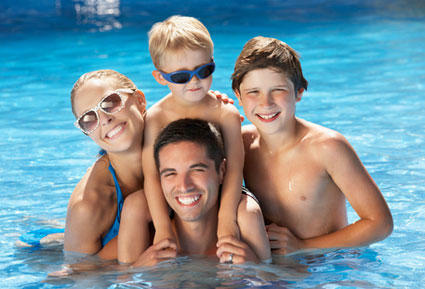 Our Tracy customers know it's time to call Clear Shine Pool Service today and get a free quote! Real Estate and property management companies often call on Clear Shine Pool Services to help when they have a property in need of a face lift and what should be a beautiful centerpiece attraction in a properties yard has gone un attended and is now a major eyesore. 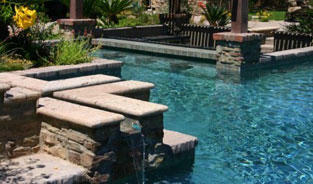 Our professional pool service techincians have been providing detailed pool inspection services for years in Tracy. Let Clear Shine help get your investment back in shape. Upgrading pool equipment can help commercial pool owners cut maintenance costs significantly. Providing an excellent pool for your family can be an efficient and quick process, and once done you can rest assured that your costs are lowered. Upgrading to new equipment can make all the difference. Call Clear Shine Pool Services today and get a free assessment on how you can upgrade your equipment and save. "Thank you, Ryan, for doing a good job in vacuuming, cleaning my filter, and doing an overall good job in cleaning my pool. You were polite and also knowledgeable about caring for pools. Also, thank you for taking your time to explain and being thorough in cleaning my pool. I will definitely call you back for any future pool services. Thanks again Ryan!"